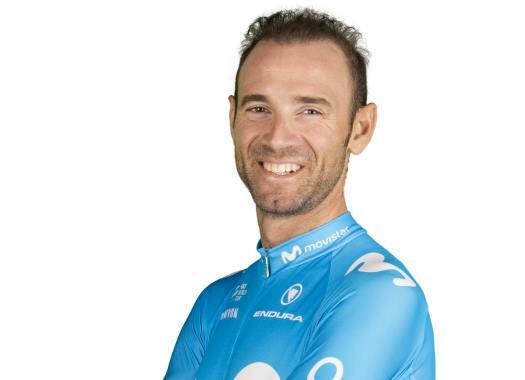 Alejandro Valverde (Movistar) had a bitter 20th stage of the Vuelta a España as he lost the podium position and fell to the fifth position of the General Classification. The last climb of the day proved to be difficult for the rider and he lost contact with the favourites' in the middle and couldn't recover. "You’ve got to stay happy when you give everything you’ve got," he said at the end of the stage. "You must accept defeat – when you win, it’s all fantastic, but when you lose, you’ve got to recognise your rivals are better than you and move forward. I’ve been up there all Vuelta long and I can only be happy about that. "Also because of the teamwork, my two stage victories, this green jersey and the team GC, which will get everyone on the podium. These final days haven’t been the ending I hoped for, but you’ve got to accept things like they happen. It hurts to be out of the podium, but when you leave everything on the road, you can’t really ask for more." But Valverde didn't start suffering just at the end, he did it in the climbs before and it was even noticeable at the 19th stage of the race. "At the second climb of Beixalis I was struggling a lot, I wasn’t comfortable at all, and I wasn’t able to turn things around in the remainder of the stage. After that, it was just suffering. "You sort of surrender and don’t perform the same way; it’s the same for you to lose 1’30” or three minutes. The whole team was phenomenal all Vuelta long, and Nairo (Quintana) proved again to be an excellent teammate, supporting me all the way to the finish. I thank him for that." The Spaniard now looks forward to the next goal of the season, the World Championships of Innsbruck. "Now it’s time to rest up and face what’s coming up at the Worlds; let’s see what we can do there. These two days weren’t the best for me, but I think there’s enough time to let the body rest and get back to my best form before Innsbruck."